This universal goose-neck tablet \ phone stand is compatible with any device with up-to a 10.5 inch screen size, Perfect for reading & watching videos hands-free in your bed, kitchen, garage, gym or even at work! 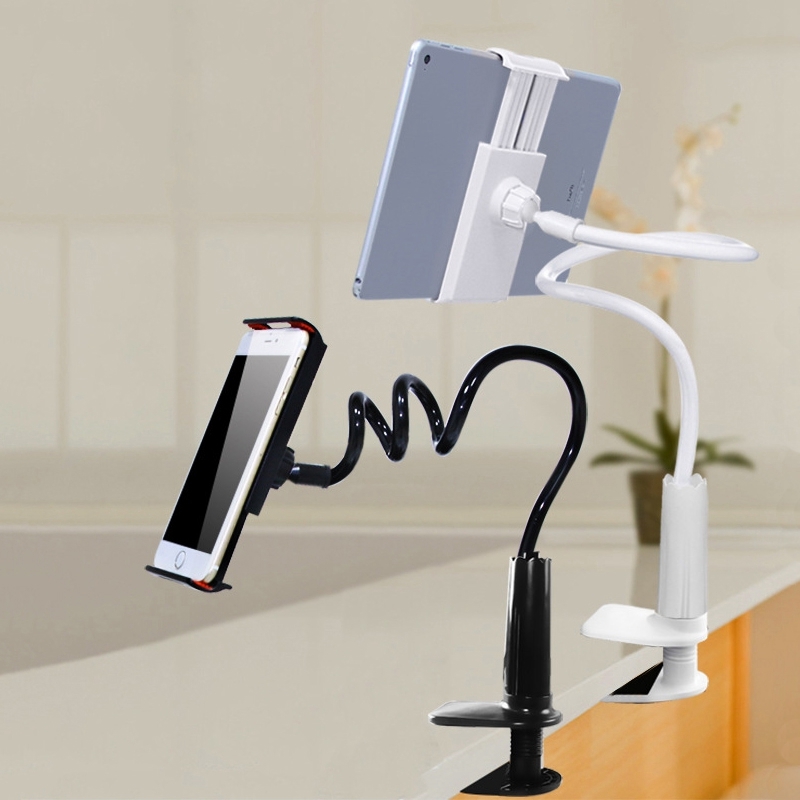 The device holder swivels ,tilts ,and rotates 360 degrees, allowing you to use your devices in multiple angles and positions as needed! The brackets are telescopic & bi-directional, making sure this stand will work perfectly with any device! there are even pre-made charging holes for maximum convenience! Clamp style base holder will fit any surface up-to 2 inches thick and is covered by rubber anti-skid pads that make sure zero damage to the mounting surface!